I loved nearly everything about this book. 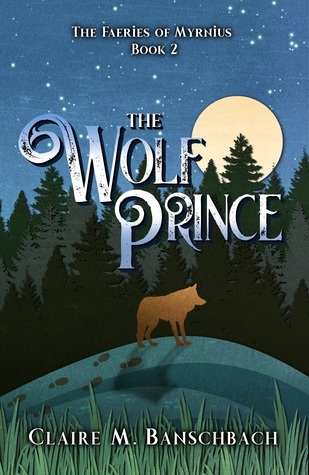 The Wolf Prince held my attention from the very beginning with a ghost story about a family who is cursed with the ability to understand wolves. The character development is excellent (especially in Lars), and I absolutely loved the dynamic relationships (albeit them being a little cliche)- the hotheadedness of the two brothers, the way they both treat and care for Rose (can I say how appreciative I am of the fact that Lars and Rose / Killian and Rose didn’t end up losing their sibling relationships for a romantic one? what a breath of fresh air)- it was all done very well. Brownie points to Claire. The story itself was very well written; Claire had me turning the pages fast. Well, scrolling through the PDF. You won’t regret spending money on this gripping book with lighthearted elements. The Wolf Prince definitely made it to my favorites of 2018, and I’m sure it will be on your list too, so go buy or borrow it. Recommended to ages 10+. There is quite a bit of magic in this book (after all- one of the characters is turned into an animal through magic. I hope that’s not a spoiler. *winces*). It’s not glorified, but it’s not necessarily viewed in a negative light. It didn’t bother me at all, but if you’d rather not read books with magic in them, steer clear of The Wolf Prince. Otherwise, it is completely clean- no language, romance, etc. FTC DISCLOSURE: I received a complimentary copy of this book. A positive review was not required. These are my honest thoughts and opinions. Have you read The Wolf Prince? What did you think of it? Thanks Jane! I appreciate that you commented! SWEET! A CLEAN BOOK! And I’ve seen this go around on a- blog tour, maybe? Anyways, I’ve heard people say it’s good, so I’ll definitely have to read it. Great review! Great review! I loved this book, more books need wolves! Ohhh you read it too? How nice! Did you read Adela’s Curse?